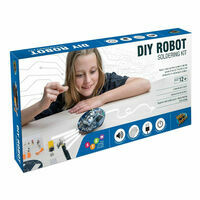 DIY Robot Combo | Build your own sound sensing robot! 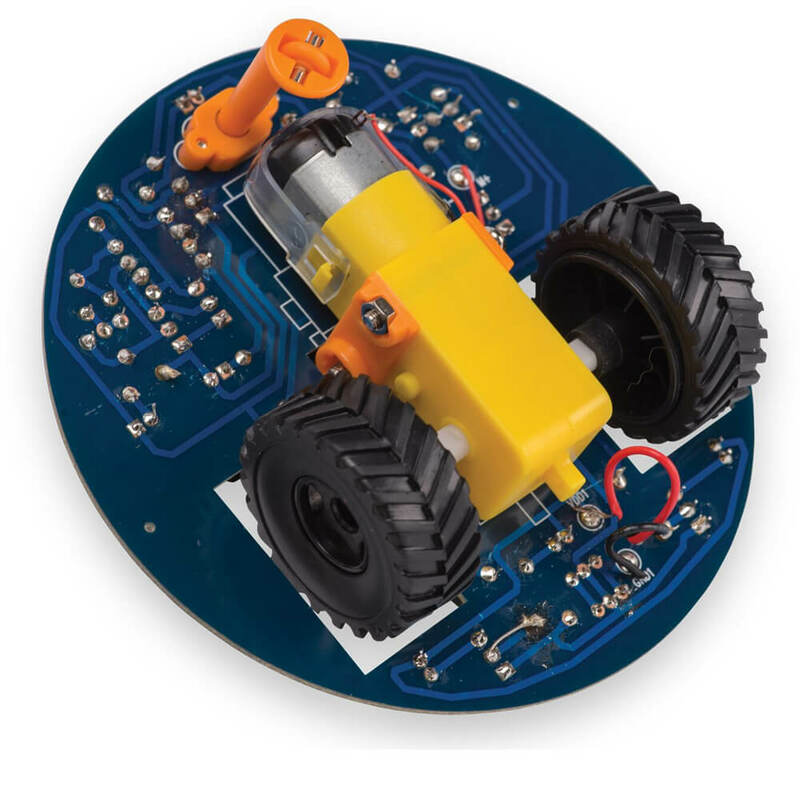 Build your own sound sensing robot! Control it with the power of sound! 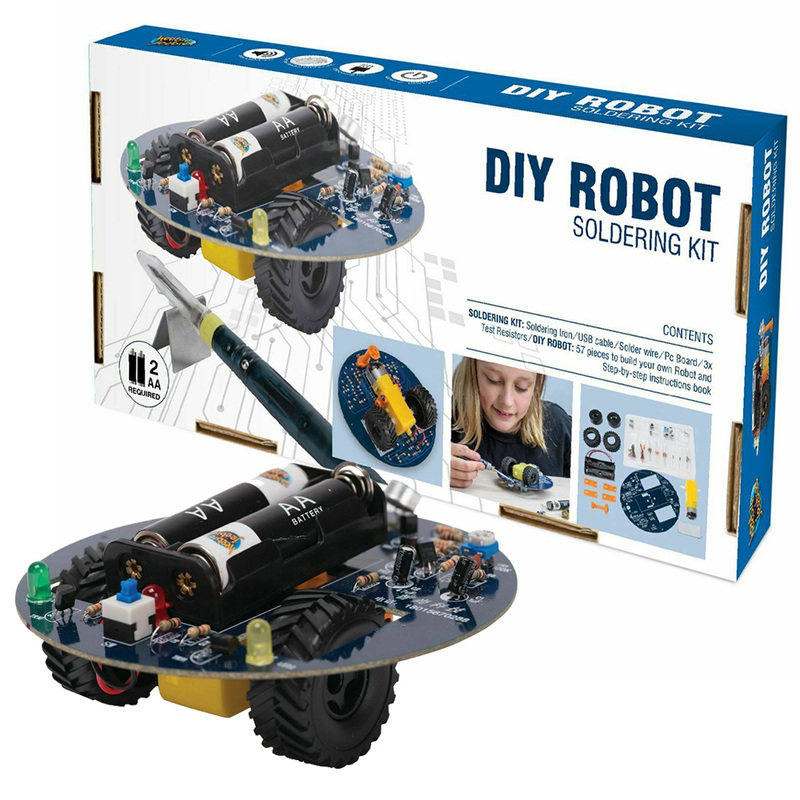 Make your very own easy-to-solder sound detecting robot that move forwards, backwards and changes direction! 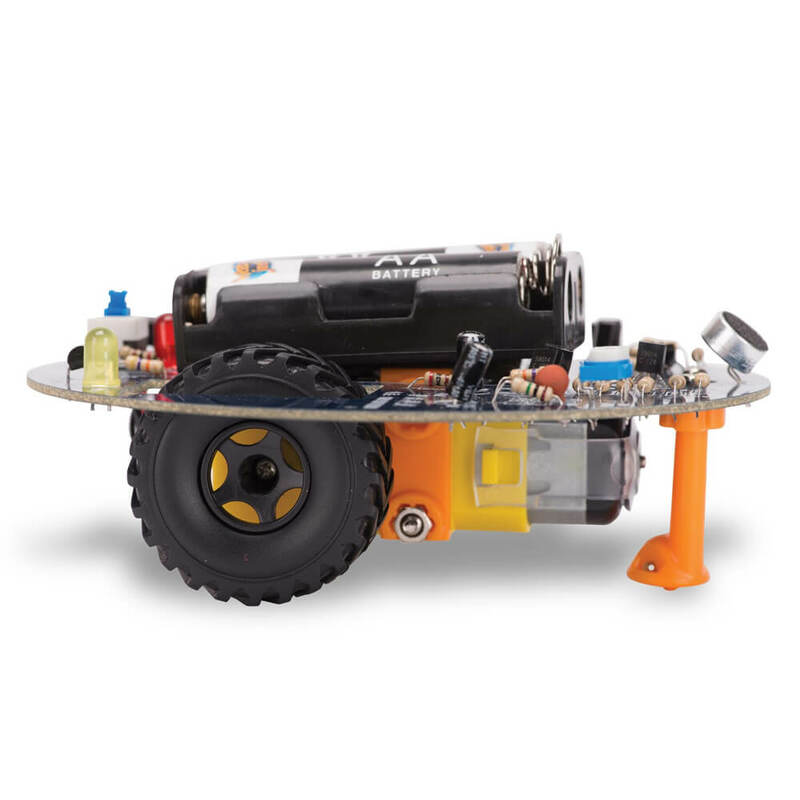 When you've assembled the circuit board, gearbox, wheels and battery box, your robot will drive on its own and react to claps and slaps. The detailed instruction booklet includes basic information on capacitors, resistor limits and transistors to help you along the way! 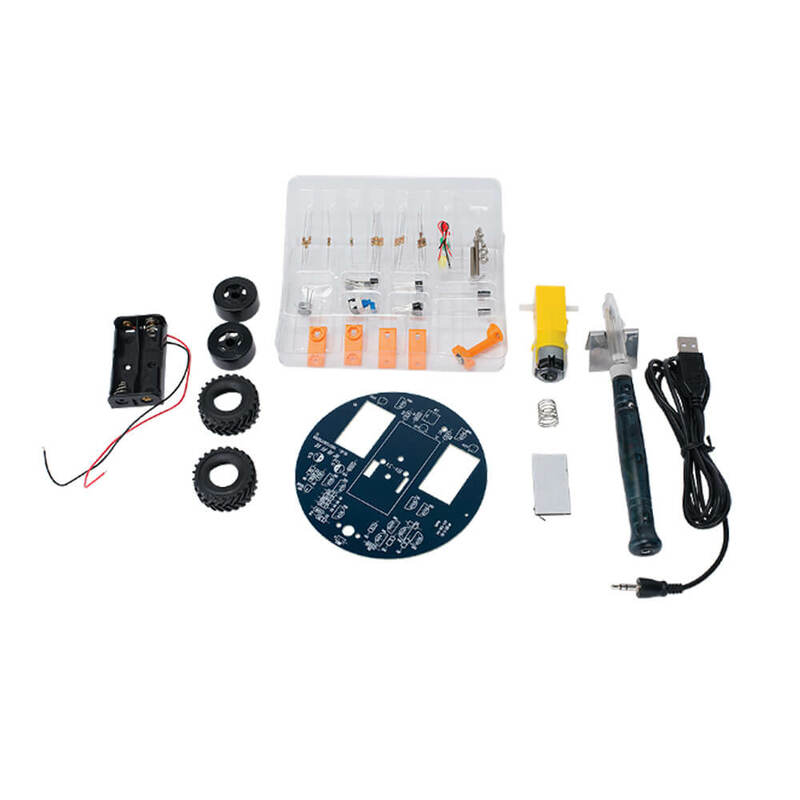 Your kit includes a USB powered soldering iron that is perfect for beginners, along with step-by-step instructions on how to use it. 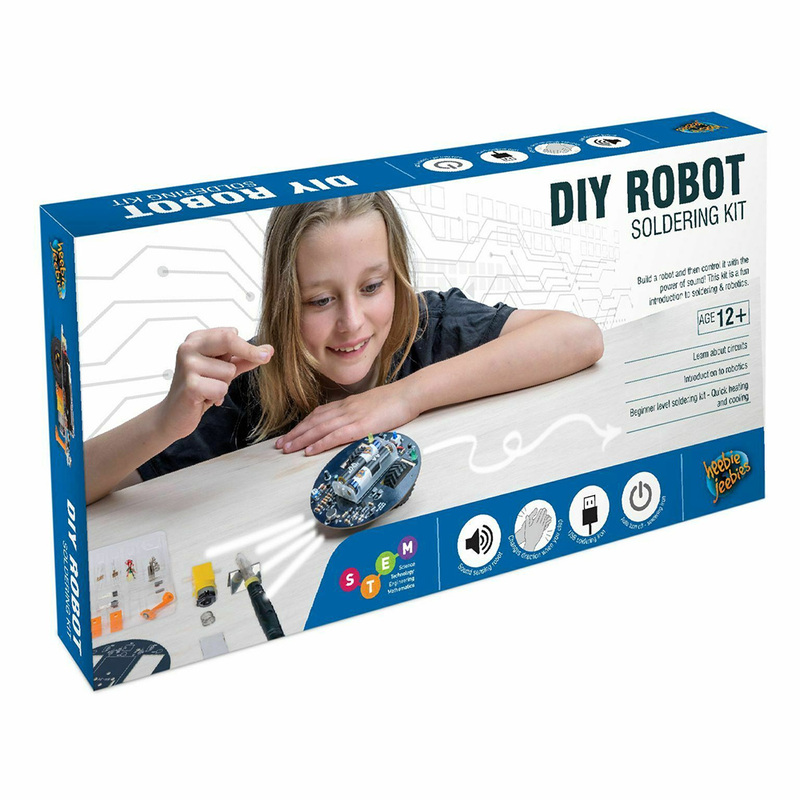 In fact, it's ideal for circuit boards and other small soldering jobs, and can be used by children ages 10+ under adult supervision! You will learn about tinning and threading resistors, as well as how to hold and solder a component lead to its PC board! 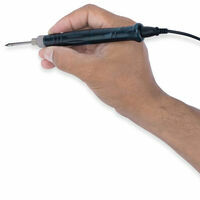 The soldering iron is quick to heat up and cool down, and, if left unattended, has an automatic shut off safety function. 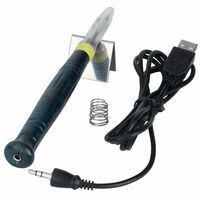 Also required but not included: Scissors, a Phillips head screwdriver and 2 x AA batteries. 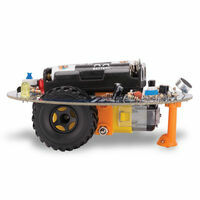 Please note: The DIY Robot Combo is not a toy. Adult supervision is required with the use of this soldering kit.